So … your kid is off at college and you want to make Valentine’s Day special for them? Let us help with Valentine Care Package For College Students Printables! Woot! Over the years, Valentine’s Day has been celebrated many different ways in our house. From See’s candy delivered to school to Valentine Adventures or a special heart shaped pizza, we’ve always tried to do a little something special. But NOW … NOW one of our kids are off at college. No worries though! We’ve got a Valentine Care Package to send to our college girl! 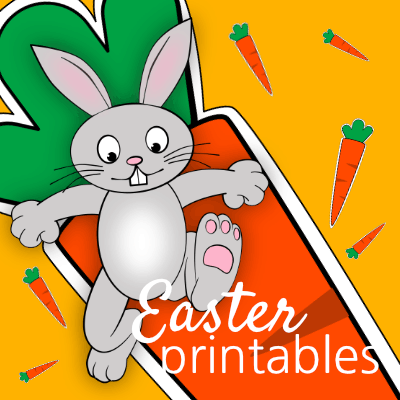 Printer – I have this one and it is ah-mazing! Festive Valentine Stuff – ideas below. When I think of Valentine’s Day Gifts, a few things come to mind. Valentine’s Day is all about relaxation and pampering. With that in mind, I think music, chocolate, jewelry, and relaxation. Your college girl will feel spoiled with this fun ring set! Our college kids need tools to help them relax and reduce the stress of classes, homework, and living life on their own. What if we could help with a cute neck massager? I’m loving this! I know my daughter will too! Of course we have FUN Valentine Printables to add to your Valentine Care Package too! 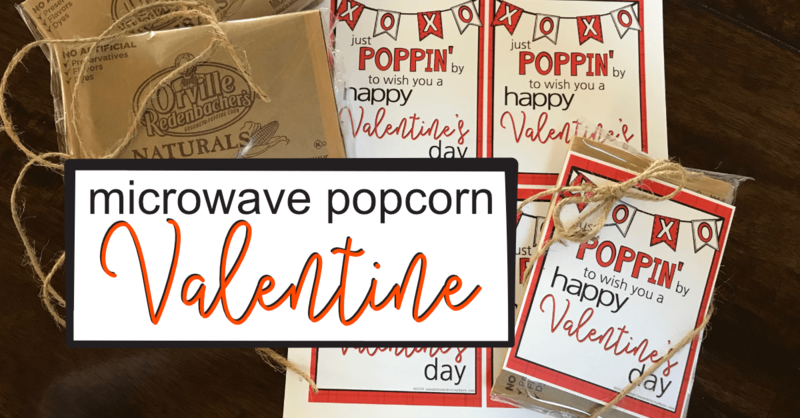 How about a Popcorn Valentine! 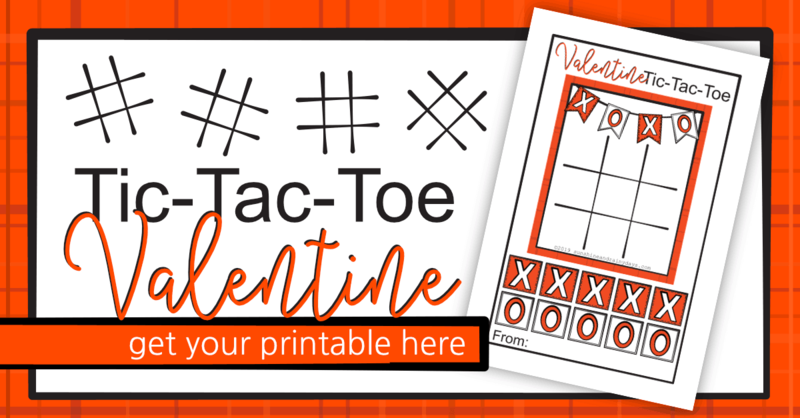 Or Valentine Tic Tac Toe to play with their new college friends! Believe it or not, my college daughter enjoys the mindless word search or crossword puzzle that takes her away from endless homework for a few minutes. 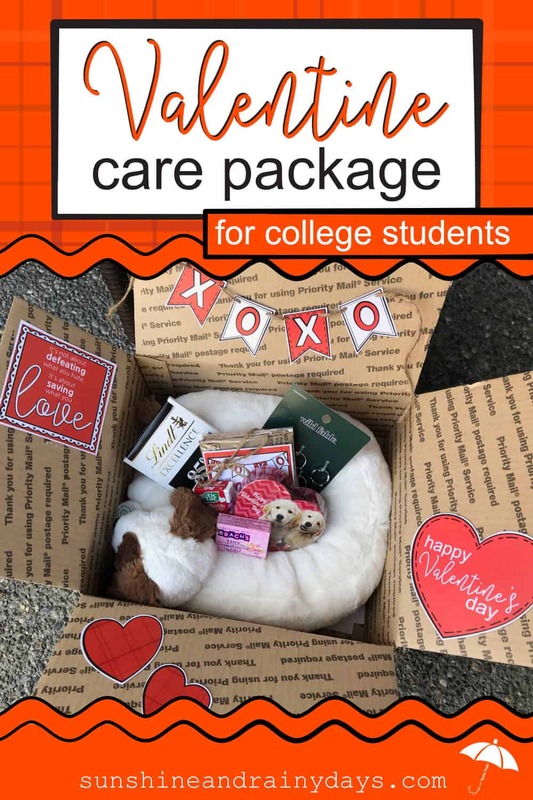 Print the Valentine Care Package For College Students Printables – found below. Cut the Valentine Box shapes! Use a 1/8″ hole punch and punch two holes at the top of each X and O Flag for the Valentine Banner. Cut the Valentine Notes page in half and write something special on the note to include in your box! Cut out the Tic Tac Toe Board and X’s and O’s. Attach the X’s and O’s to the Board with a paper clip. Your College Valentine will appreciate the effort you put into making Valentine’s Day special for them!